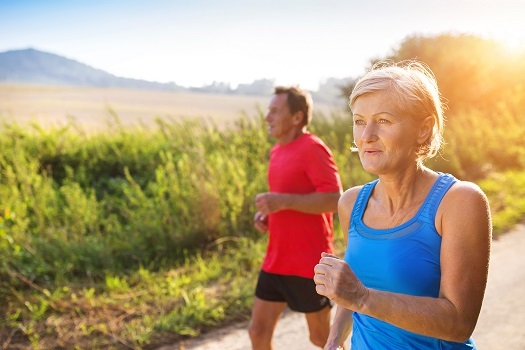 Can Seniors Increase Their Muscle Strength? Aging causes seniors to lose muscle mass, which could lead to mobility issues and reduced quality of life. Muscle strength can also decrease due to an inactive lifestyle. However, making healthy lifestyle choices can boost muscle and joint strength in the golden years. Here are some of the things your elderly loved one can do to boost his or her muscle strength. Going outdoors to exercise and get some fresh air is one of the many ways seniors can prevent illnesses and boost their overall health. However, some seniors may need encouragement and assistance to remain physically active. If you’re the primary family caregiver for a senior loved one living in Huntsville, live-in care is available if your loved one’s health has become too difficult to manage without professional expertise. At Home Care Assistance, we take measures to help seniors prevent illness and injury by assisting with exercise and mobility, preparing nutritious meals, helping with bathing and other personal hygiene tasks, and much more. Exercising is a great way for seniors to increase their muscle strength, but it’s not the only option. Taking on daily tasks can challenge the muscles and boost overall strength, leading to better balance, stronger metabolism, leaner muscles, and less joint pain. Some examples include helping with household chores and running errands instead of relying on others to do most of these tasks. While out in public, encourage your loved one to take the stairs instead of the elevator or escalator. When talking on the phone or browsing social media, your loved one should stand instead of sitting. While standing, your loved one can lift his or her leg or do a few heel raises to strengthen the muscles in the buttocks and legs. Seniors who need help with daily tasks can benefit from the assistance of a professional in-home caregiver. If you’re the primary family caregiver for an elderly loved one and need additional assistance providing high-quality in-home care, Huntsville Home Care Assistance can help. We are a leading home care agency committed to changing the way seniors age. After exercising and doing other physical activities each day, seniors need to rest their muscles. Sleep is a key factor in repairing muscle tissues. While resting, the body heals stressed tissues, replenishes energy, and increases muscle strength. If your parent doesn’t get enough sleep, his or her muscles could continue to break down without rebuilding, causing decreased muscle strength. Encourage your parent to sleep at least eight hours each night. Some foods boost muscle strength and build endurance, including salmon, eggs, tuna, Greek yogurt, chicken, fruits, leafy vegetables, and nuts. Adopting a healthy diet that includes these foods may lead to lean muscles and increased strength. Talk with your loved one’s doctor about which foods have the strongest impact on bone health, and try to incorporate these things into your loved one’s meals. High-quality sources of protein are typically the best choices for aging adults, as well as B vitamins and choline. Consider hiring a professional caregiver to assist your senior loved one with exercise and meal preparation. In Huntsville, home care agencies can be a great boon to seniors. With the help of the caregivers at Home Care Assistance, your aging loved one can lead a happier and healthier life. We offer a revolutionary program called the Balanced Care Method, which encourages seniors to eat nutritious foods, exercise and socialize regularly, and focus on other lifestyle factors that increase life expectancy. To learn about our high-quality in-home care plans, give us a call at (256) 716-9940 today.